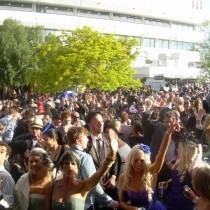 Live trax from Melbourne Cup 2011. 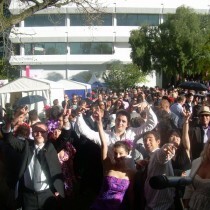 Recorded at Flemington Racecourse. Superdudes is a four piece cover band, based in Melbourne, Victoria (VIC) Australia. We have been entertaining corporate audiences at special events, private functions and outdoor festivals for more than ten years. Superdudes is a live dance/party band that features an energy packed show with an emphasis on audience participation and fun! Playing hits from the 70's through to current top 40, Superdudes has the experience to make sure everyone is dancing and enjoying the party atmosphere from the first song to the last. Superdudes video filmed at Crown Palladium – May 2012. Audio is live with no overdubs or post-mixing. A professional group of accomplished musicians with an impressive track record, Superdudes continues to be Melbourne's most sought after corporate function band. 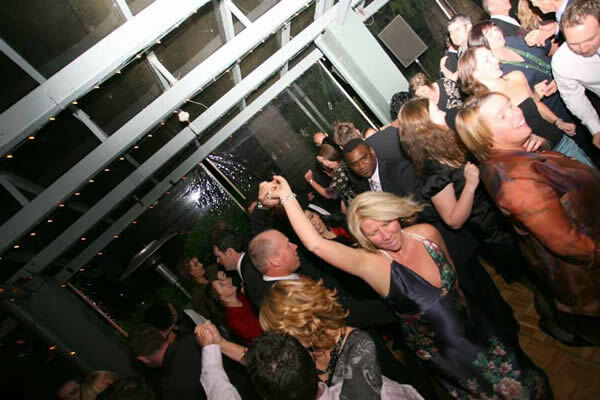 If you're looking for a wedding band or wedding entertainment in Melbourne, look no further. Superdudes is a highly regarded Melbourne wedding band. Looking to find a band or local band to hire in Melbourne? For more information on one of the top Melbourne music bands, head over to our corporate page. Or if you're planning to get hitched, see our wedding section. Your enthusiasm on stage and your ability to quickly get everyone up and onto the dance floor and enjoying themselves was a highlight of your gig at our Grand Final Ball. You guaranteed everyone would be up dancing and they were from the very first song. You gave us such a great selection of songs. Thanks to the Superdudes for their fantastic performance at our annual company function – what a night!! Your energy, audience interaction, song list and ability to entertain such a diverse crowd made the evening a real winner. What a great night!!!! The atmosphere was magic, the dance floor jam packed and the music fantastic. Your professionalism and ability to interact with members on the dance floor and the audience in general was sensational. I would recommend “The Superdudes” to any function. If you love to dance and enjoy good tunes this is definitely the band for you. The entertainment provided by Superdudes once again kept the audiences both entertained and rocking as they were provided with some of history’s best known tunes. Your contribution has been essential in rewarding our patrons for their attendance. The 200 delegates in whom attended the function have praised the band and I really think that your ability to reach out and get everyone into the “party mood” is a real gift. Thanks Superdudes for another smashing party at the Melbourne Town Hall. We always have a fantastic evening, a big part of which is due to the Superdudes band playing all of our favourite dance tunes. Well guys, what a fantastic night! The interaction between yourselves and the crowd was brilliant. My sincere thanks in making our night a memorable one. You read the crowd beautifully and get that crowd up on their feet. Needless to say, many commented on the “fabulous band” … Superdudes keep proving their worth time and time again. Today your are Superheros! I love you guys..
Had a great wedding reception with Cam & Cath @ McClelland Gallery. All the best to the bride & groom!